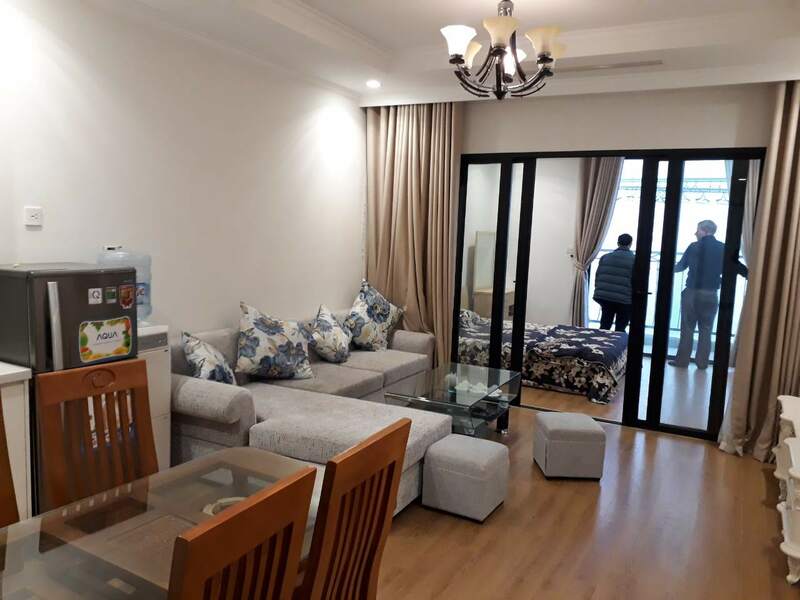 03 bedroom apartments Vinhomes Royal City– area: 124 – 130 – 136 – 144 – 146 – 151 – 164 – 151,7 – 179,8 – 181,4 – 187,3 – 200 sqm. 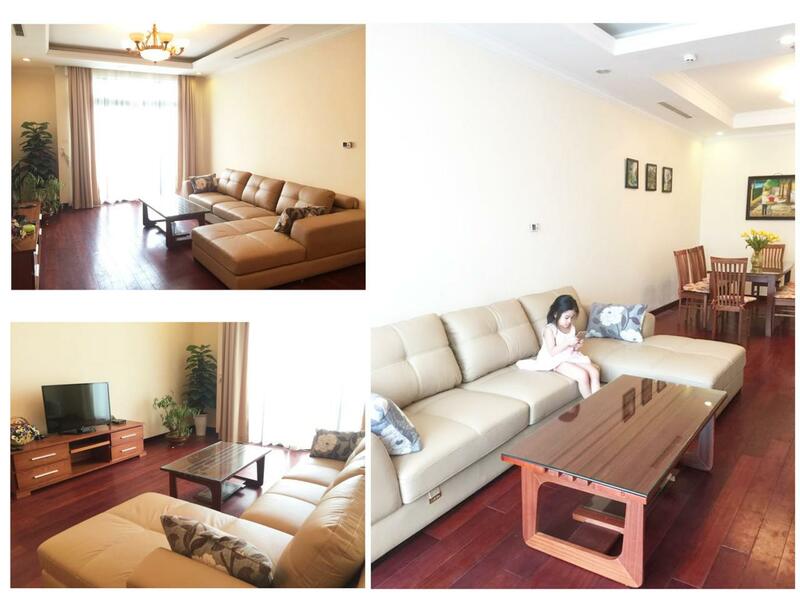 04 bedroom apartments Vinhomes Royal City - area: 181,4 – 187,3 – 200 -221sqm. Available furniture: wooden floors, plaster ceilings, kitchen equipment, luxury sanitary ware, camera, concealed conditioning, water heater, etc. 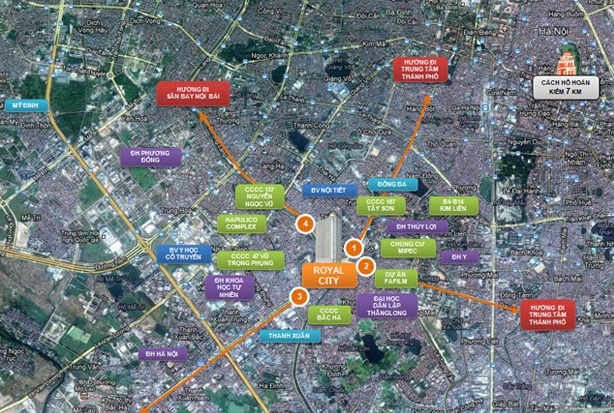 - R1 building contains 942 apartments with diverse area of 88.3m2 – 200.8m2. 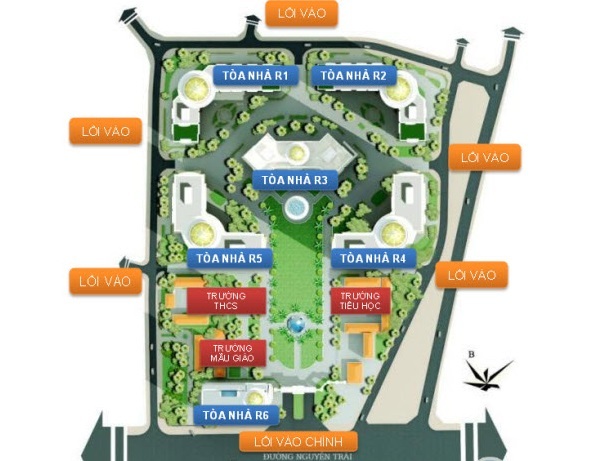 Vinhomes Royal City Apartments in R1 building have 1- 4 bedrooms. 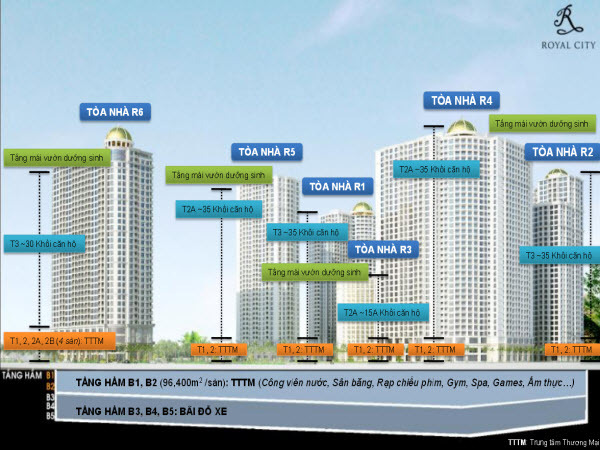 - R2 building in Vinhomes Royal City Apartment contains 942 apartments, with varied area of 88.3m2 – 151.7m2, 2-3 bedrooms. 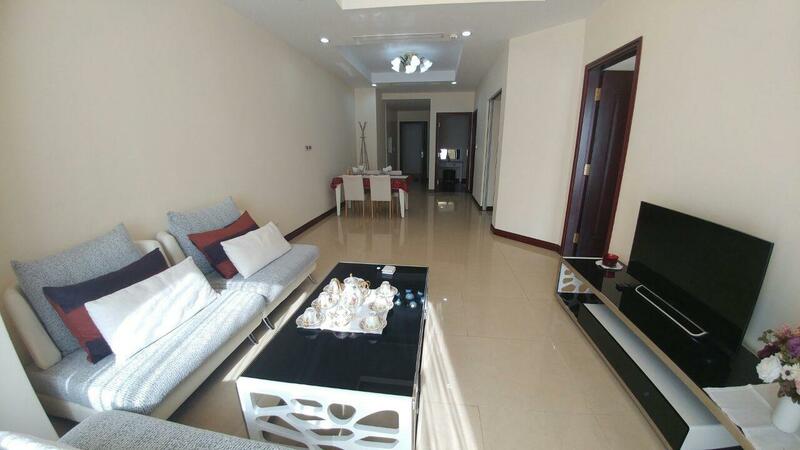 - R4 building with 2-3 bedrooms in area of 93m2- 137m2. 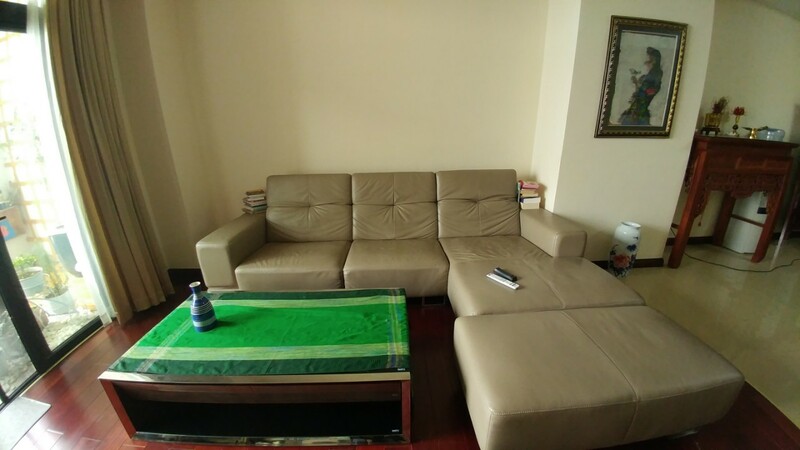 - R5 building with 2-3 bedrooms in area of 93m2- 137.6m2. - R6 building with 1-2 bedrooms in area of 93m2- 162.2m2. 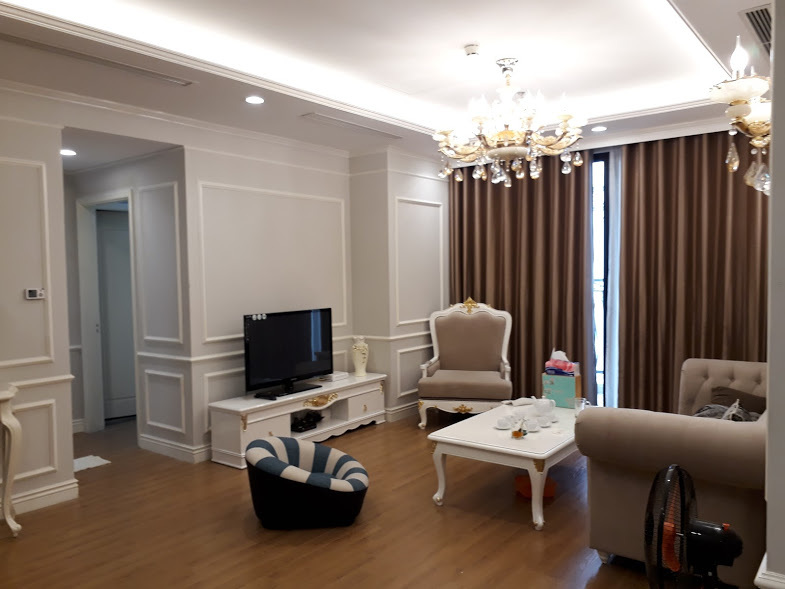 Luxury apartments in Vinhomes Royal City are built with architectural style of European royalty using high-tech, modern and safe amenities for the life of each family. Apartments in Vinhomes Royal City project have many diversified surface areas ranging from 88.3sqm to 221.4sqm with 39 different types. 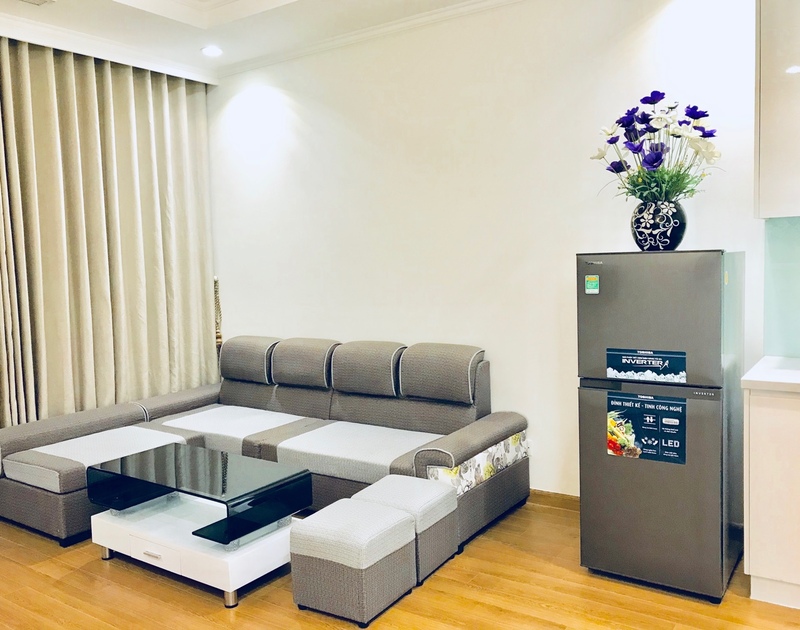 Apartments are designed and arranged reasonably with a variety of options and many different spaces to meet needs of living and the rest of all members in the family. 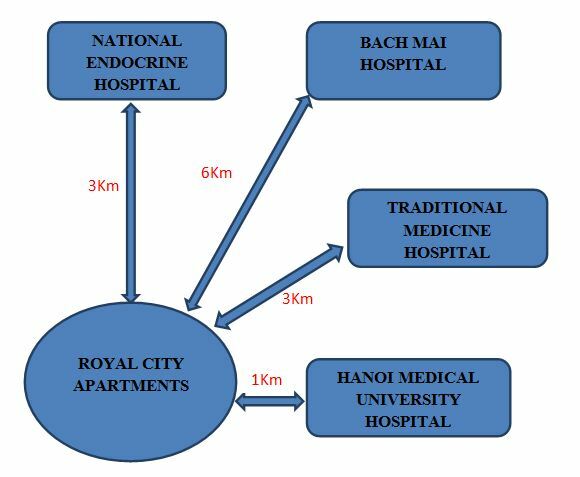 Vinhomes Royal City Complex is on number 72A Nguyen Trai – a central area of many major roads linking Hanoi urban areas with new capital’s Centre. - Nguyen Trai Street on the Southeast. - Square of Gardens and parks about 70.000 square meters. 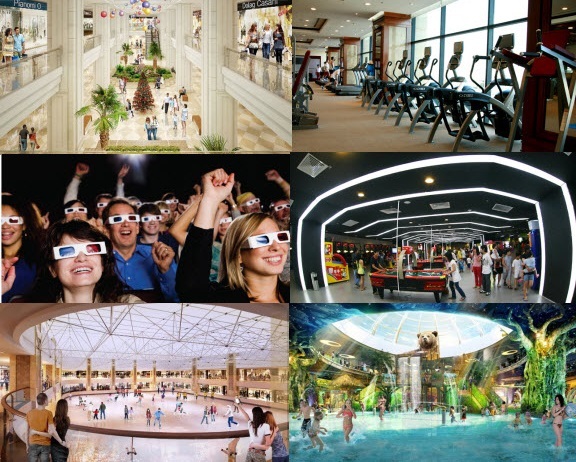 - Square of Shopping Mall and Supermarket: 230.000m2, divided into 2 basements and 2 levels. 06 indoor heated swimming pools: Each block has 01 swimming pool (free for residents). 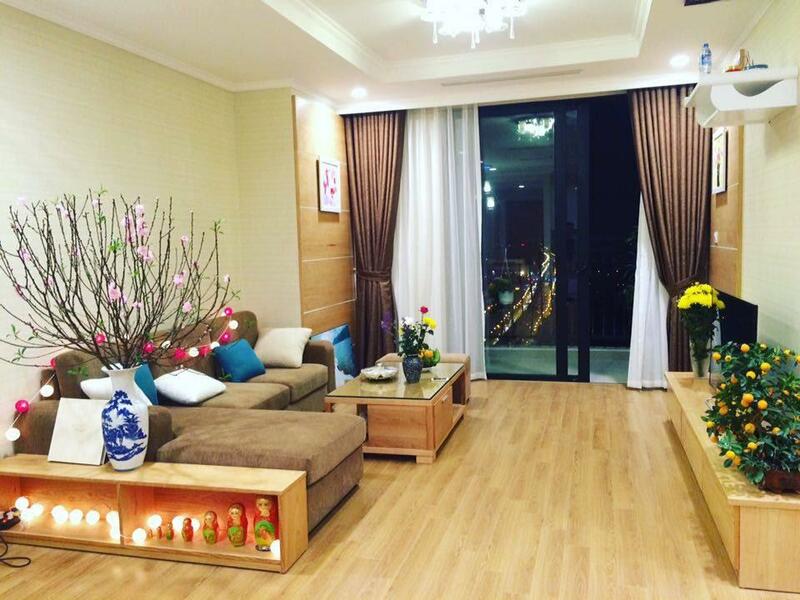 Royal City Nguyen Trai gives you the best conditions for a comfortable and perfect life. 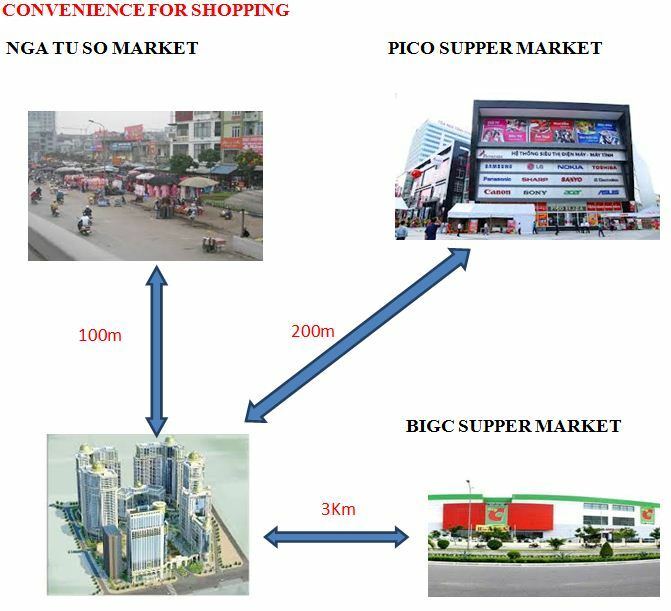 It is a complex of high-end hotels, rental offices, commercial centers, luxury apartment buildings, schools, kindergartens, gardens and many large and unique projects in Vietnam such as: ice rink, indoor water park, Gym & Spa area, cinema complex, underground parking area, etc. 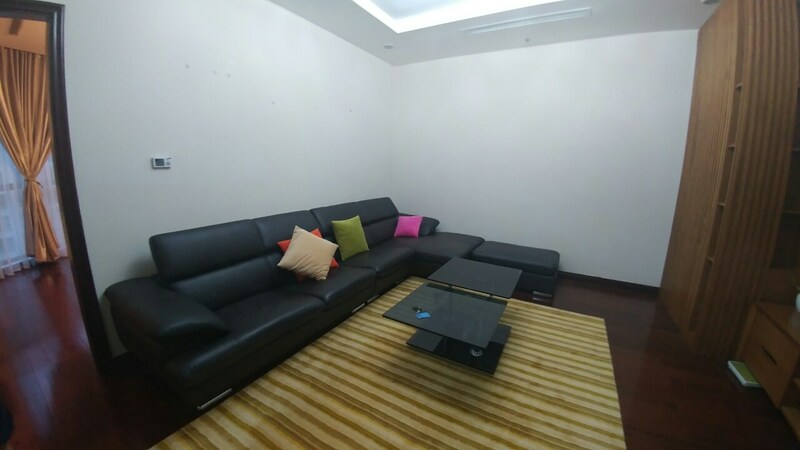 Royal City apartments promise to bring a comfortable living space and a heathy life for every resident. 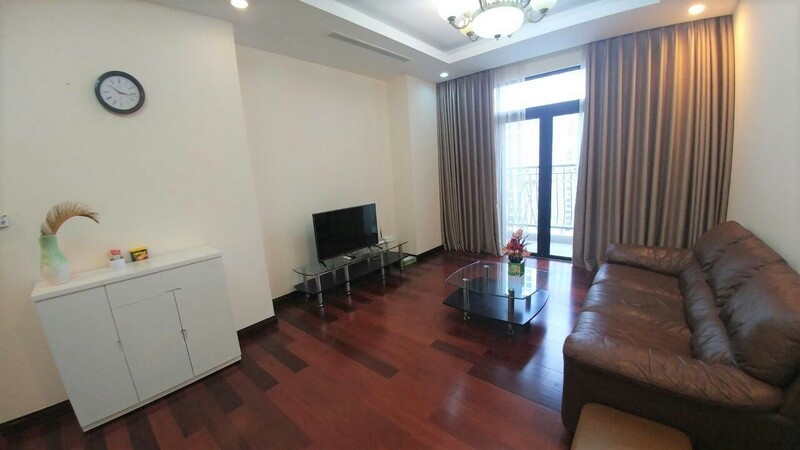 Great, bright, one bedroom in Vinhomes Royal City, available now (10 July 018) for Rent! 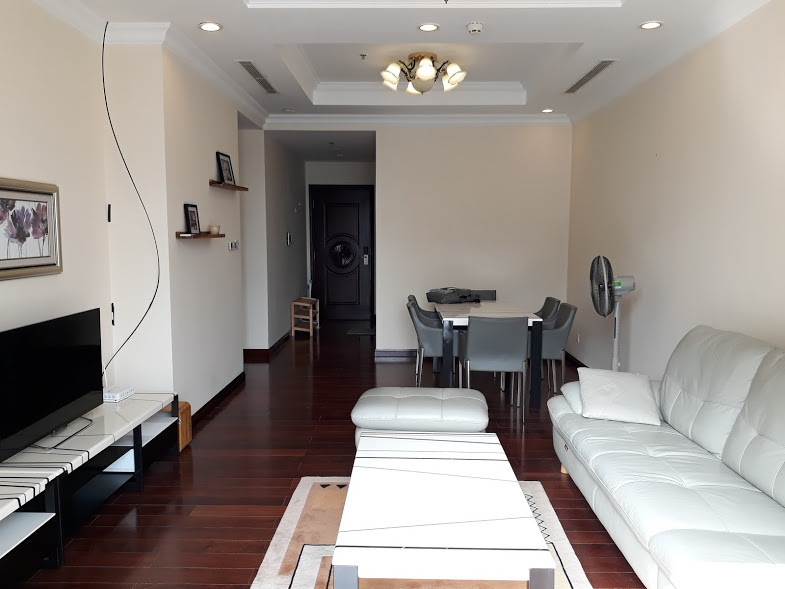 Brilliant location in City Hanoi. 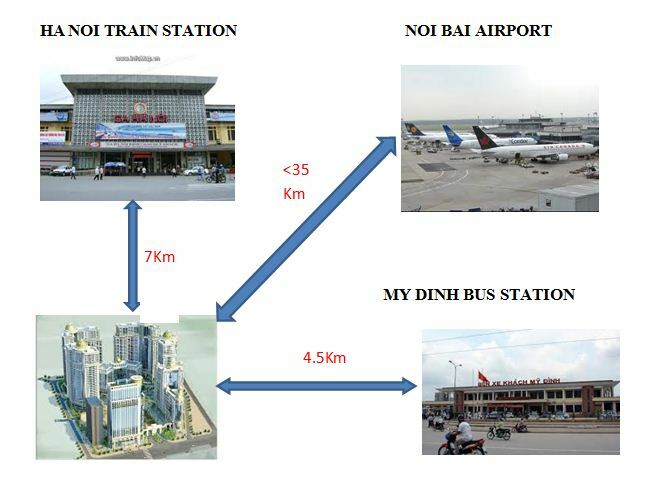 Easy access to airport by highway transportation system. Takes 15 minutes to Old Quater and West Lake. Conveniently close to everything you need but also hidden in the quiet area. Surrounded by Vinschool, and huge shopping Mall around shophouse and two basements. 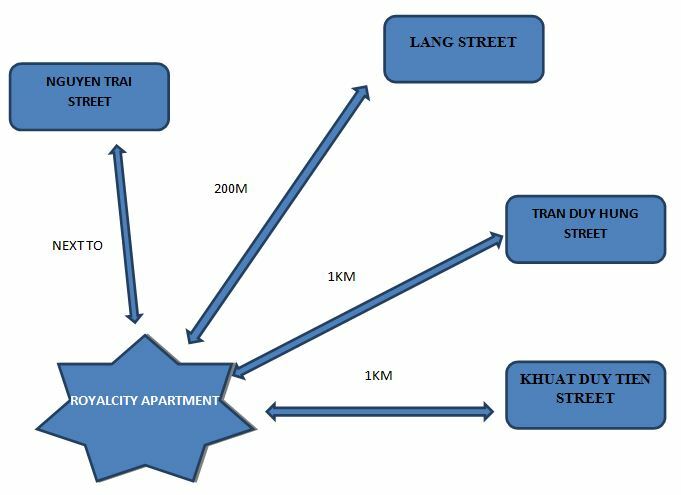 ROYAL CITY apartment located on 72A Nguyen Trai street, the central location to access to other places easily. 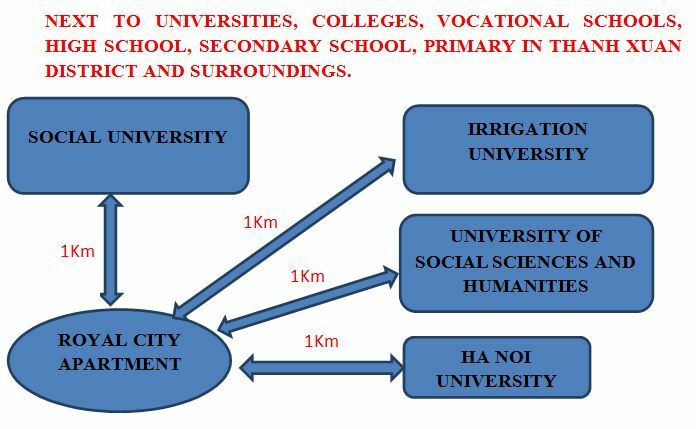 With many social facilities around, good infrastructure, shopping centers, schools and hospitals.